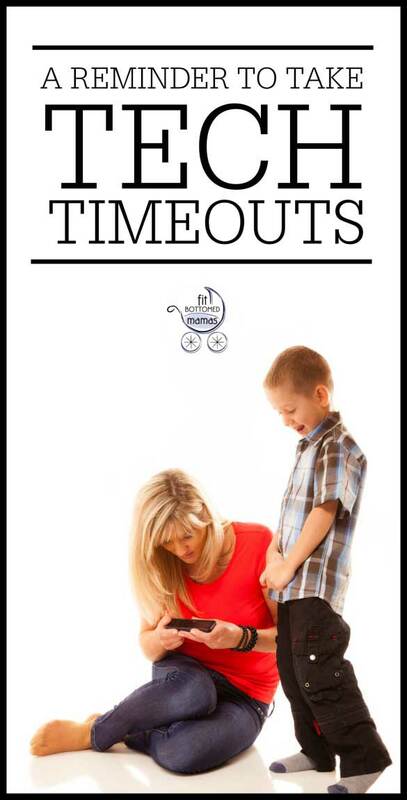 Do You Take Tech Timeouts? I admit it. Despite resolutions to the contrary, I’m still a little hooked on my smartphone. I try to live in the moment, but unfortunately a lot of times that means wanting to document everything by taking pictures. And there are all of the times when the kids are happily playing together and I’m not having to actively referee that I’ll do some web surfing. Or I’ll be nursing my son in the dark before bed and I’ll play a little Word with Friends. I could definitely be better about putting the phone down. But at least I’m not as bad as the following video, even if it did serve as a reminder to me to do more tech timeouts. Can’t see the video? Watch a few people in need of a tech timeout. I’m much better about putting the phone aside on the weekends because I make family time a priority—and because my husband will readily point it out if I’m being ridiculous. But sometimes the weekdays get a little long when they’re filled with Play-Doh and Sesame Street. Regardless, I’m trying to put the phone down more. Not feel the need to document EVERY park outing. And trying to enjoy some tech timeouts throughout the day. After all, I have to be a good example so that when my kids are teens, I can swat their phones away at the dinner table.